Personally, I LOVE to see these questions. It means you are curious! Curiosity is what drives learning, and through knowledge, we build a solid foundation for our craft. We all practice our crafts differently. 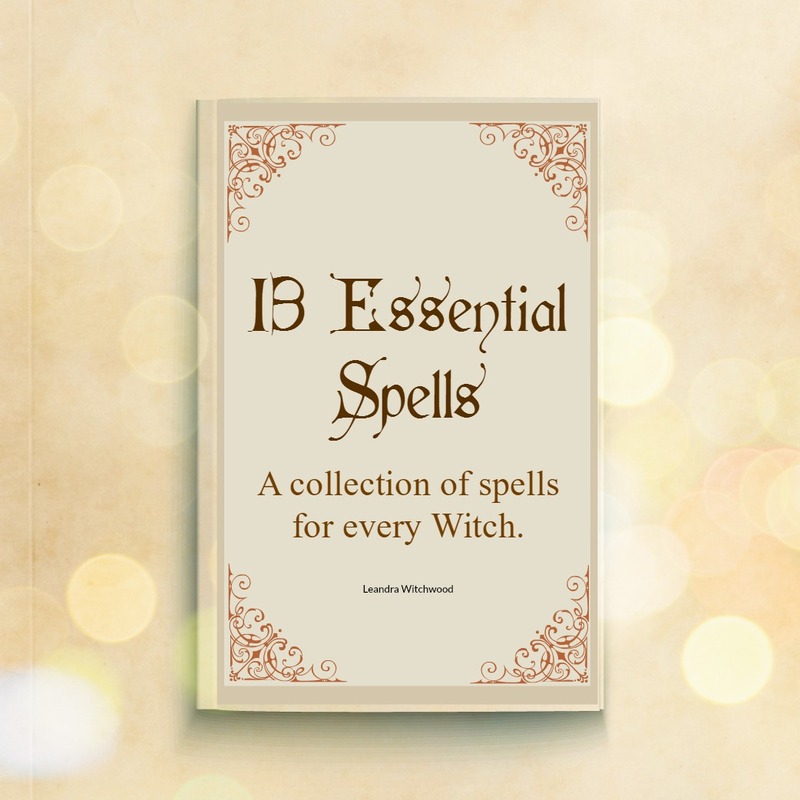 What better way to learn about the different practices under the umbrella of Witchcraft than to explore them? Through exploration and learning, we gain understanding. There are plenty of things you can do each day that will help you draw more magick into your life. In conjunction, taking time each day to do something magickal is how one learns to practice the craft. BUT the one ruler over it all will always be your attitude. The mindset you keep will be the one deciding factor in what kind of magickal life you lead, as well as the type of magick you allow into your life. The repeated postings of these questions got me thinking about my path and how I got to where I am today. I explored and sampled as many paths as I could before I realized my path. The path I follow today is vastly different compared to how I practiced 20+ years ago. I encourage exploration. This is how you discover what works for you and what does not. In light of this, I decided to offer you something that will help guide you. 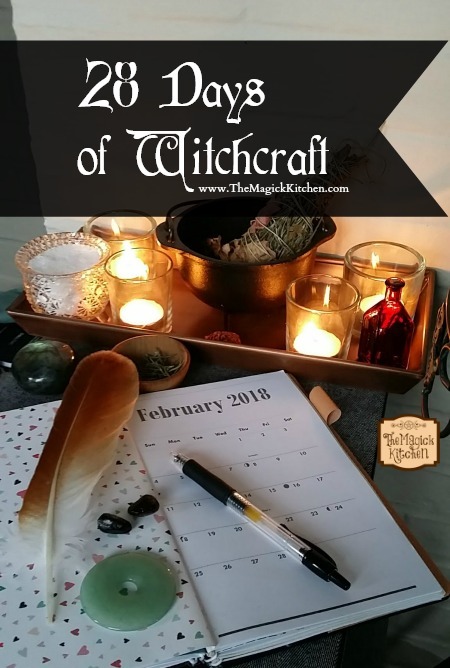 Below are 28 daily activities that will help you bring more magick into your life. These activities will also help you learn about how the craft is practiced by others. Take one day at a time. Take time to explore! This is how you learn and grow stronger within your convictions. Day 1 Sit quietly (5-10 minutes) in nature and feel the sensations of your mind and body. Listen to the sounds of nature, the breeze on your skin, and the temperature of your surroundings. Smell the fragrances of the earth. Day 2 Research the cycles of the moon and their significance to the craft. Day 3 Read an article or book about Witchcraft written by an author or blogger with whom you are not familiar. Day 4 Visit a metaphysical store. Day 5 Read a mythical tale about a deity that interests you. Day 6 Research a new form of divination that interests you. 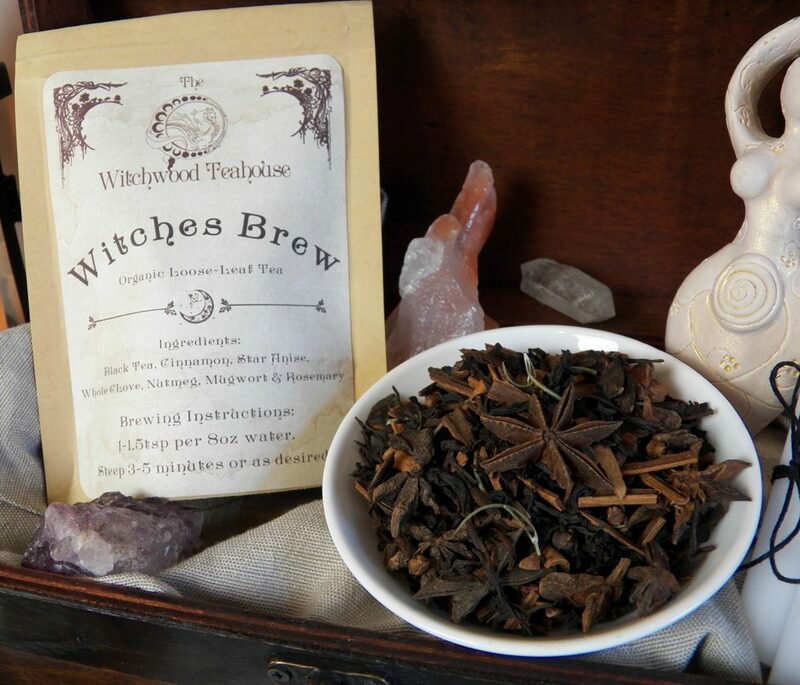 Day 7 Find a plant/herb/spice that is associated with Witchcraft, and learn about its magickal properties and uses. Day 8 Research a new form of magick that interests you (candle, garden, tea, knot/cord, blood, kitchen, spontaneous, tea magick, etc.). Day 10 Create a magickal craft, (a wreath, an altar decoration, needlework, engraving, weaving, etc). Day 11 Pick a crystal or stone and research its magickal uses. 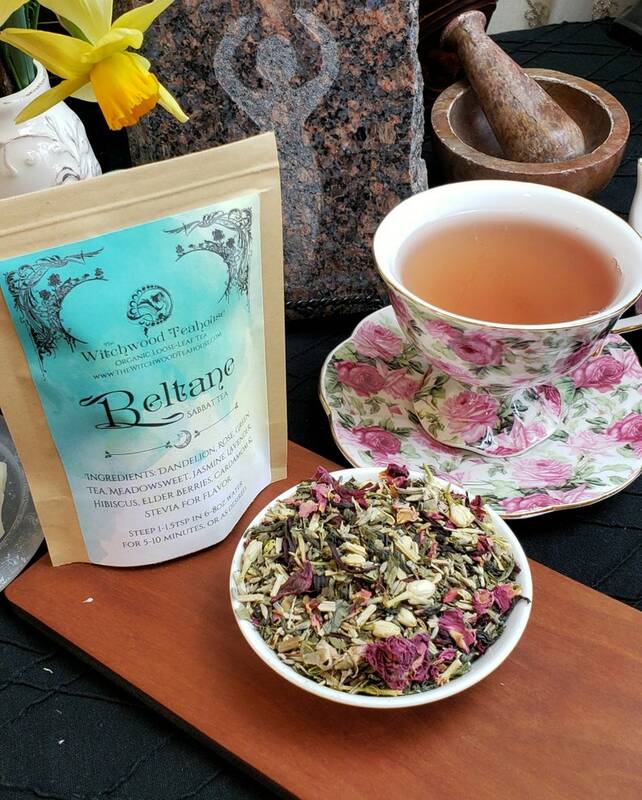 Day 12 Choose one of your favorite herbs and learn about its magickal and medicinal properties. Day 13 Take a cleansing magickal bath or shower. Day 14 Research a type of magick that makes you uncomfortable. Day 15 Research tradition or magickal path that makes you uncomfortable. Day 16 Read a book on Witchcraft. Day 17 Listen to music that makes you feel “witchy”. Day 18 Research a female deity that interests you. Day 19 Journal about your path and where you would like to take your practice. Day 20 Research a male deity that interests you. Day 21 Start a Book of Shadows (BOS) or Grimoire. Day 22 Watch the sunrise or moon rise. Day 24 Research the elements and their significance to the craft. Day 25 Create an altar. 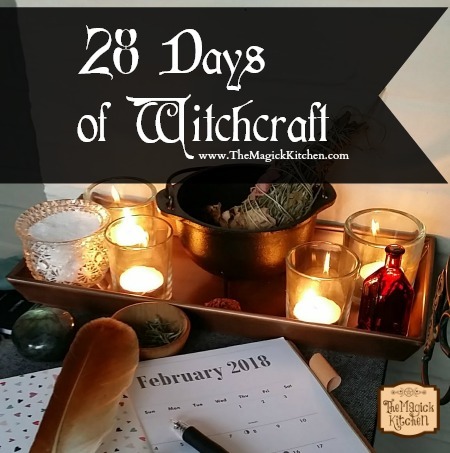 Day 26 Research Sabbats observed by most witches. Day 27 Learn about the lore of an animal you feel drawn toward. Day 28 Try writing a spell of your choice. This 28-day journey only scratches the surface of the craft. You can take each of these days and stretch them out over a year and more. I am merely giving you some suggestions to get you started. I hope you will comment on your experiences and how you felt each day. Most importantly I would love to hear how you feel after the 28days are complete. Did any of these activities change your perspective related to Witchcraft? Do you feel like you are stronger on your path? Did any of these activities help you feel more stable and balanced on your path? I will leave you to it with one final note. Sometimes we become too serious on our journey. I want you to enjoy the journey. This is about self-discovery. This path should be enjoyable and meaningful. Yes, sometimes there is a need and place for seriousness, but not all the time. Live your path, love you path and laugh often! Wishing you luck and many bright blessings!! I try to do something similar every day, it keeps me connected to my path and helps me grow. Very helpful. I can’t wait to try these out!